Maude darted a nervous grin at Eric as he climbed in behind the wheel. There was a lot riding on this trip. Their three kids were already complaining about being stowed into the back of the van, even though they’d provided cushions for them – they had to accept the old 1949 Morris Oxford van wasn’t the most comfortable mode of transport. They just hoped the surprise at the end of the journey would make up for the children’s discomfort. The surprise! Maude hoped it was one they all accepted. She’d been dreaming about it ever since she and Eric had made the decision. She took a deep breath and crossed her fingers. No use fighting your battles before the war has begun. Maybe her cherubs would love it. Crossing the bridge over the Mary River, they proceeded through the suburb of Southside, and were soon rattling over the washboard dirt road heading out to the hill country they could see from the city. “Mum, its dusty back here!” Ian called over the purr of the motor. He hated dusty trips, and there were no windows in the back of the van for the children to watch scenery as they travelled. The children couldn’t see the way forward, but they could tell by the way they leaned to keep balance they were climbing into hill country. The Morris wound around several hairpin bends, motor racing and gears crunching as they made it to the last bend and the hilltop. Dust settled as they came to a stop. Eric opened his door and got out. “I feel sick,” Jan whimpered. The children jumped out and shook the dust out of their clothes; their legs ached from squatting in the back of the van and they looked around in anticipation. “The farm is your surprise,” said Eric. Eric and Maude had decided not to tell the children they were selling home and business in town to move out to a rural setting. They wanted them to appreciate the beauty of this new environment before breaking the news. Unfortunately, the journey had not been a good introduction. The three children looked at their parents then turned to look at the scenery. They started toward the weatherboard house, which would soon be their new home. It was large and imposing, painted a deep chocolate brown with large windows cheerfully facing all four directions. These gave a panoramic view of the hills and valleys extending for miles in each direction. The previous owners had obviously liked their comforts. Maude smiled with delight as she surveyed the large well-equipped kitchen and rumpus room. Eric took the children on tour and helped them pick out their rooms. The children had forgotten the horrors of the trip now, and were squealing with delight at each discovery. They liked their surprise! “That’s a big clothes line,” said Jan as the family walked down the farm road toward cattle milking sheds. “Where dear? Maude looked around to see what her child was focused on. “Who owns those hills?” Ian had noticed the rows of mango and macadamia trees loaded with ripened fruit on the second hill, and the banana plantation on the third hill in the distance. The third hill looked dark and forbidding in the shade of the afternoon and he felt a shiver of apprehension as he remembered his schoolmate’s stories of wild dingos in the hills around Gympie. He decided to look back at the second hill with the mango trees and suddenly felt very hungry. “The three hills belong to us; at least they will if you like the place and I sign papers agreeing to buy it tomorrow. Would you like me to do that?” Eric asked. “Some of them Ian, most will be sold though.” Eric laughed happily at the reaction of his children. “I want to live in my new room with the beautiful view,” said Jan. They returned to the car for the trip back to town, happily anticipating the move to their new home on the farm. Previous Post Watch My Form! No better place to raise children that a place such as you speak of here. I got a chuckle out of the big ‘clothesline’. I would love to have one in my backyard but not for moving bananas. 🙂 I bet you all had so much fun while you lived there. Thank you so much sweet Ian for stopping by and commenting on my bird story. I watched my father ride the big “clothesline” once but it was agreed by all it was a dangerous thing to do so that was the last attempt by my father. lol. That is a nice story Ian.I think its a real one collected from your childhood memories.Do you still own that place & those hills? 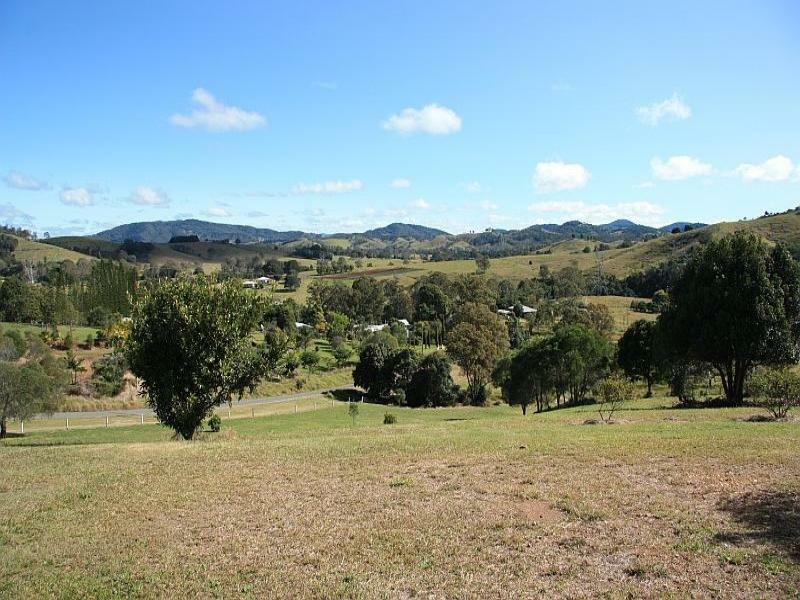 No Sadia, my father bought and sold properties and we had three rural properties at one time, then he went into the timber business owning several timber trucks before he retired and helped my Mum in her shop in downtown Gympie.